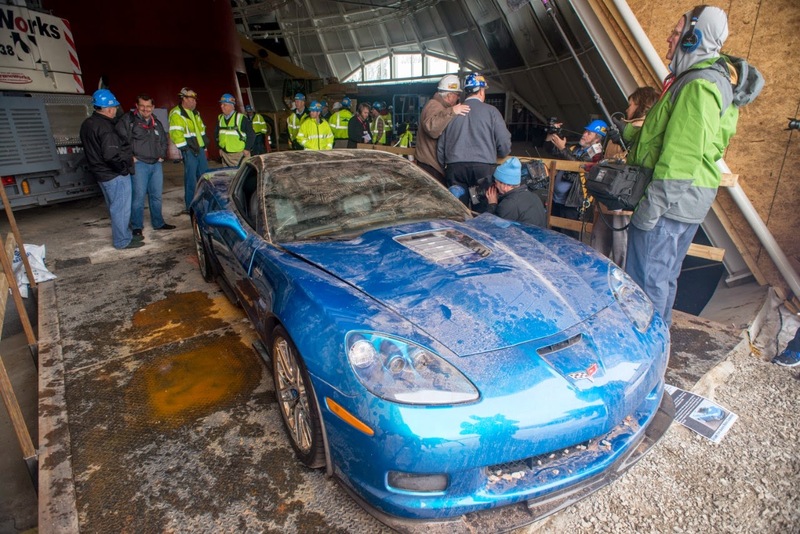 The first Corvette rescued from the sinkhole that developed under the National Corvette Museum earlier this year has been restored and is on display at this week's SEMA Show. 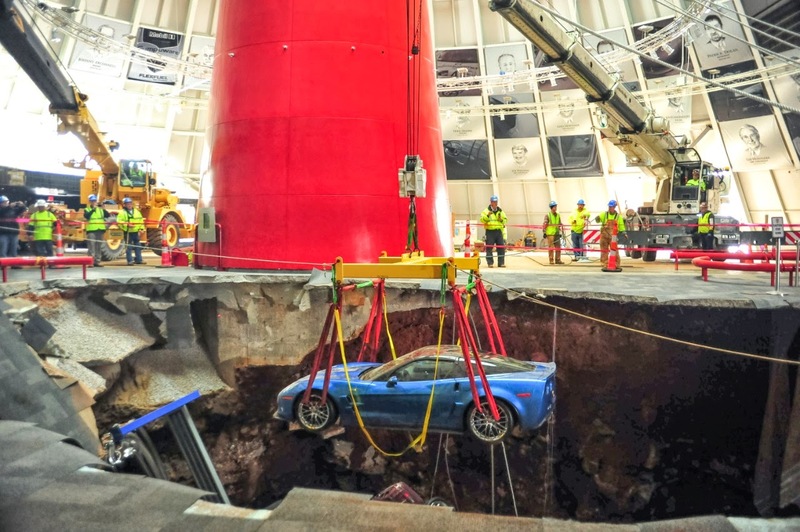 The 2009 Corvette ZRI, nicknamed the 'Blue Devil', fell almost 30 feet into the sinkhole but was still able to start and be driven when rescued from the sinkhole. 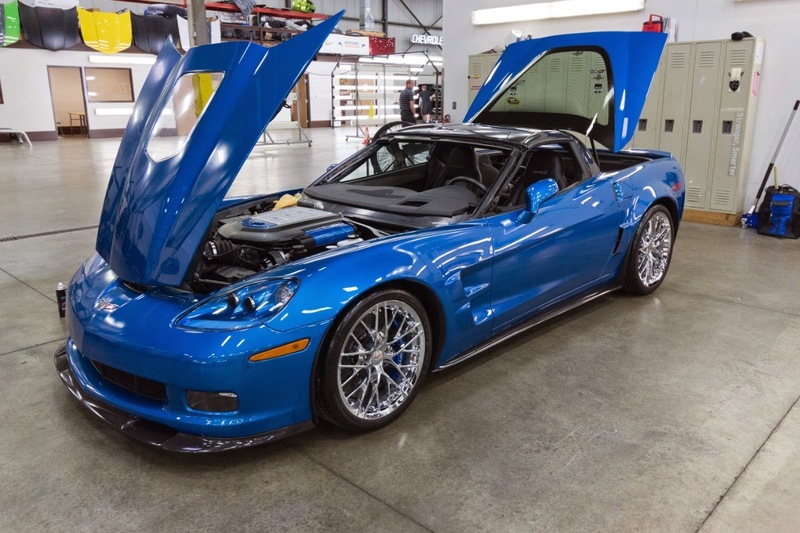 After the SEMA Show the 'Blue Devil' will return to the National Corvette Museum.